Pasadena In Focus, a bimonthly newsletter published by the Public Affairs Office, provides information about programs, events, activities and issues related to Pasadena municipal government. It is distributed to 62,000 households by bulk mail and is available electronically on the city website and in Braille format. A full line of souvenir products are available for purchase in the Municipal Services Office, N106, 100 N. Garfield Ave. – postcards, keyrings, mugs, pens, tapestries, holiday ornaments, and much more! Cash, checks, and credit cards are accepted. Please call 626-744-4202 for more information. A community is much more than what a listing of financial figures and achievements of service can provide. 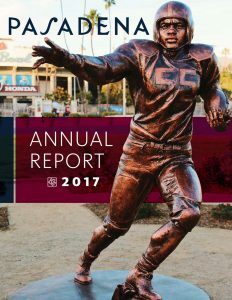 This report encapsulates many of the City of Pasadena’s accomplishments over the past year, accompanied by financial data. Pasadena is a comfortable mix of tradition and innovation, nature and development, small-town charm and big-city convenience. It is a community of nearly 150,000 residents and the sixth largest of the 88 cities in Los Angeles County. Distinctive neighborhoods, dynamic business districts, renowned institutions, superlative arts and cultural offerings, wide-ranging recreational opportunities, award-winning sustainability efforts, a strong commitment to historic preservation, festive New Year’s Day events and other characteristics have helped Pasadena thrive for 123 years. 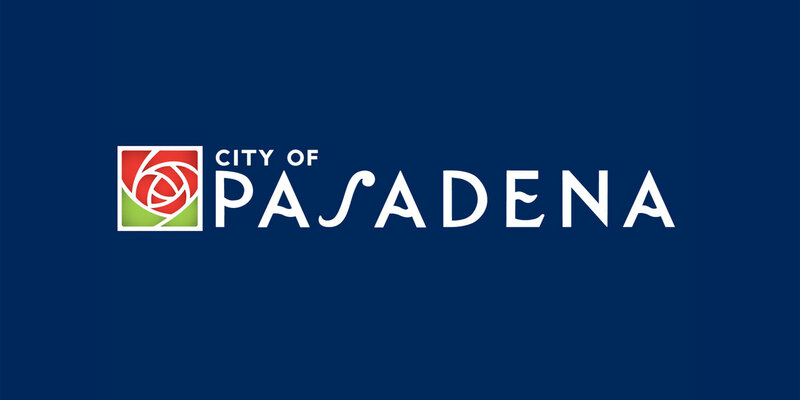 The City of Pasadena has remained focused on making continuous improvements to services and programs for our residents, businesses and visitors.